What makes someone pay extra for something so rather generic? Why are people willing to pay more for products that can be so similar, yet have such a huge difference in price? The answer to these questions ultimately comes down to the packaging of the product. In this case study, we will look at Paco Rabanne, a Spanish fashion designer who constantly use prestige packaging for it’s fragrance gift box set. The images below show their new prestige gift box for their fragrance line this month. The brand is consistent to it’s theme of gold and sending vibes of opulence to customers. Their prestige gift box set have different design for each perfume. It is ingenuous as customers can collect the boxes as collectors item and reuse for own storage. Such extravagance design is very appealing to the eyes of customers as seen from picture above. The gratification of the design is very high end which captures attention. This increases brand visibility and brand awareness when customers notice your packaging and product. It also increase the perceived value of the product. What are the benefits of prestige gift box sets? By customizing a gift box set, the exterior packaging will protect and preserve the product, ensuring it’s in good condition when it reaches the customer. It will also help to justify the price, despite the fact that the price point is higher than competitors. Your customer will perceive a certain value with the prestige gift box packaging and towards your brand. In addition, you can customize the logo on the large surface area of the gift box, which will increase brand awareness. With changing designs and upscale presentation of your gift box, customers will anticipate any future marketing campaigns. This will keep your brand and product in customer’s mind. When customers purchase your product when swayed with the prestige packaging, you can extend your brand by introducing other products in the gift box set. 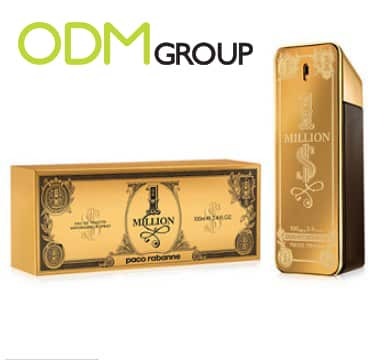 Prestige branding using gift box has a definite effect on your target market.